Generously oversized to provide every comfort/ our Ocean City/ full service hotel will offer its guests all the convenient amenities. You can enjoy your breakfast at the restaurant in the morning or have a snack and a coffee at the Coffee Shop. Or relax at our swimming pools and have a drink at the bar. Have a getaway weekend at one of our king jacuzzi suites and pamper yourself or that special someone in the embiance and beauty of our full service Day Spa. Or have a family vacation at one of our front two queen beds suites and have a good time at our entertainment room. Admire stunning ocean views from Grand Hotel and Spa and enjoy 10 miles of beach/ breathtaking sunsets/ sunny afternoons and exciting nightlife for all ages. Situated in the middle on the renowned Ocean City/ Maryland Boardwalk/ the hotel provides an unmatched location for shopping/ sightseeing and dinning. Additional Property Location Text - The hotel is set along Ocean City s 10 mile stretch of Atlantic Ocean Beach where you can enjoy swimming and water sports in the lifeguarded waters/ plus all the fun of the citys famed boardwalk. Primary Point of Interest - The Hotel is situated on the award-winning Ocean City Boardwalk with oceanfront views. There is something to satisfy every hunger pang/ thirst/ taste bud craving and late night snack attack during your stay with us. 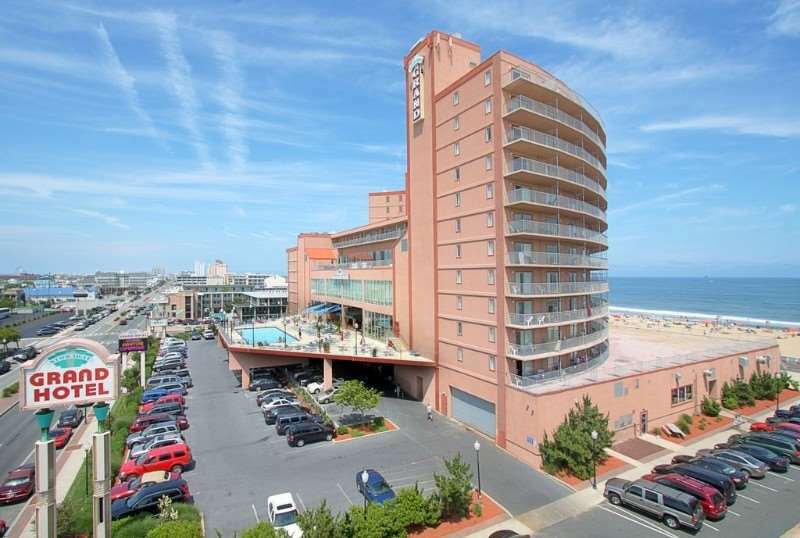 The Hotel is situated on the award-winning Ocean City Boardwalk with oceanfront views. ~30 miles from Ocean City. Former wild pony, star of author Marguerite Henry's "Misty of Chincoteague," now stuffed for your viewing pleasure. Also stuffed: Misty's foal Stormy. ~33 miles from Ocean City. ~35 miles from Ocean City. ~74 miles from Ocean City.